The California Welcome Center is located conveniently at Pier 39. 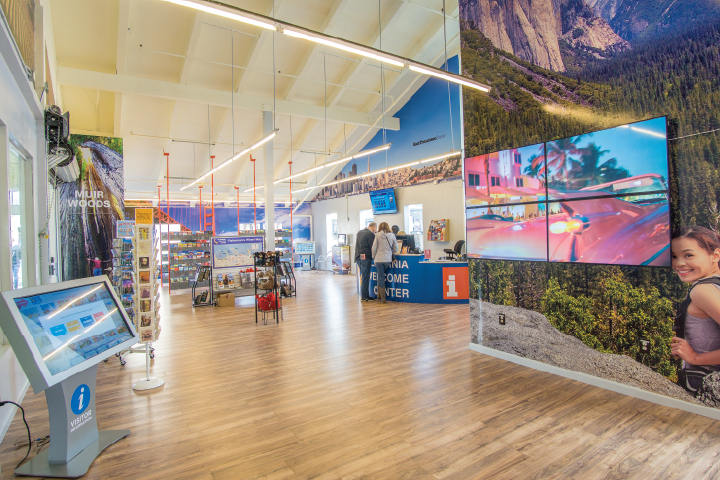 This official state visitors center is filled with rows and rows of brochures on anything and everything you want to see and do while you visit California. This visitors center also staffs some very knowledgable staff that can assist you in a number of things in San Francisco, the Bay Area and all throughout California. Also, check out the TIX Kiosk inside for discounts on tickets to local events and performances. The California Welcome Center is open from 9am to 7pm, seven days a week (excluding Thanksgiving and Christmas Day). What else can you do at Pier 39 after your visit to the California Welcome Center?